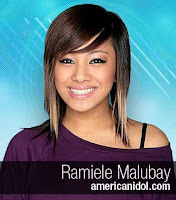 Ramiele Malubay is out of the running in American Idol 7. Did she deserve to be voted out? Unfortunately, she deserved it. She's got a good voice but she just never found the right song for it. Parang laging off or may kulang. Not sure what though. Btw, yung mhin na dating gel asa Oprah kanina. I could only watch so much kasi I don't feel comfy watching it. I don't understand why she/he/it opted to have the operation to be a man with the intent of getting pregnant someday. Huh? Something's wrong with that picture. There he/she is with beard, hairy arms and legs, looking like a man pregnant. Sana nag pa surrogate mother na lang sila. The result would have been almost the same anyway. But that's just me. I guess the culture/catholic education I had just couldn't accept such a thing. Anyway, pang post na namat to..hehe. TGIF na dyan..
yes, i do believe she deserved to be out of the running. she does not have the "it" factor. that boy/girl/ is demented. grabe, hindi na naisip yong trauma for the baby. ano na sabihin nila sa anak nila pag malaki na yon? 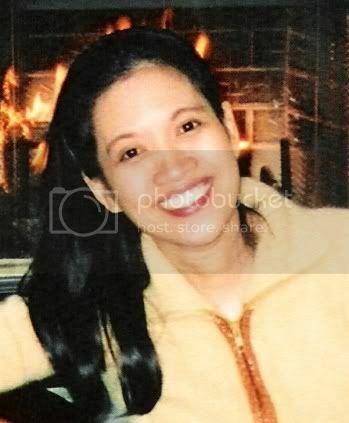 oo anak, babae ang daddy mo na naging lalaki pero may pagka-babae pa rin kaya nabuntis ako for you. ewan! Anyway, bumalik lang me kasi nakita ko message mo sa Cbox ko. Musta na yung cousin mo? I hope the surgery was successful. Still praying for her recovery. Hi Lena, I totally agree with you... She has a great voice yes,but she doesn't have the "it" factor... My husband said the same thing to me.